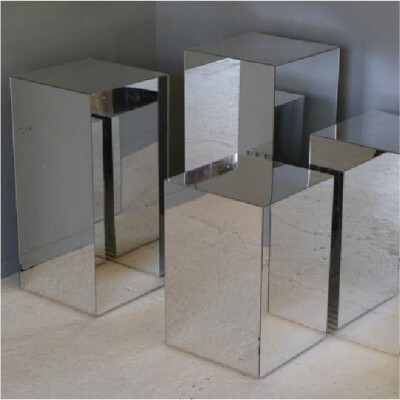 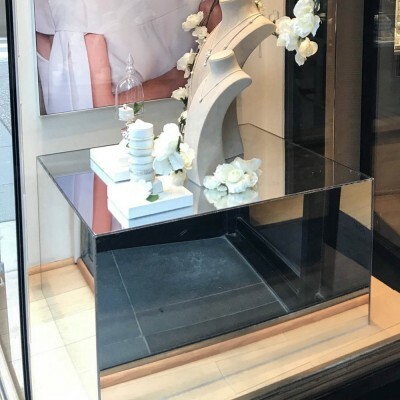 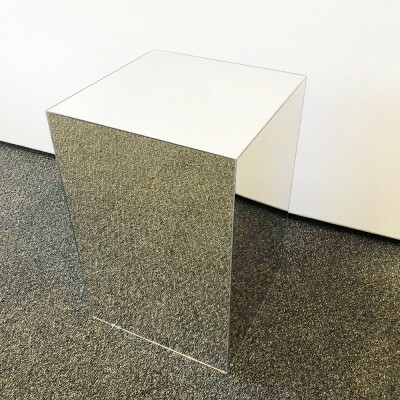 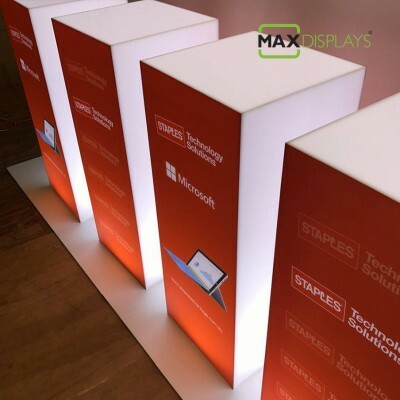 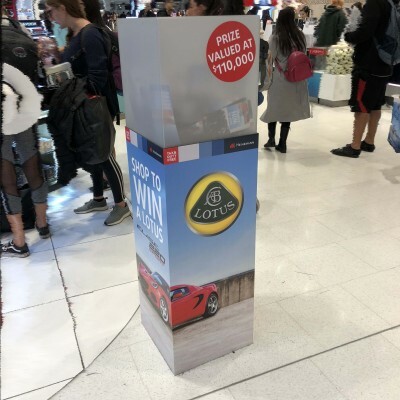 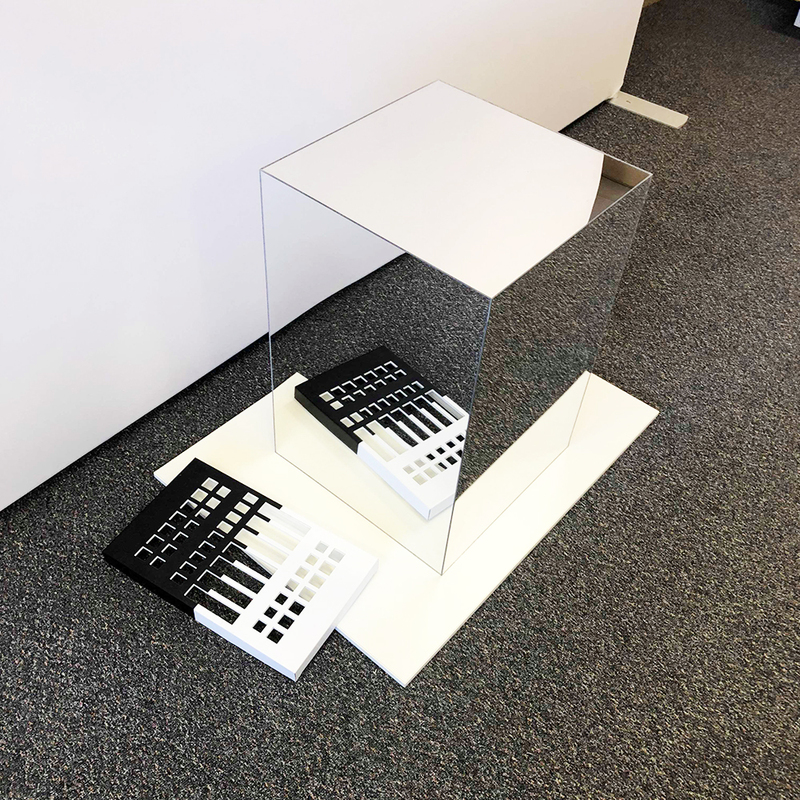 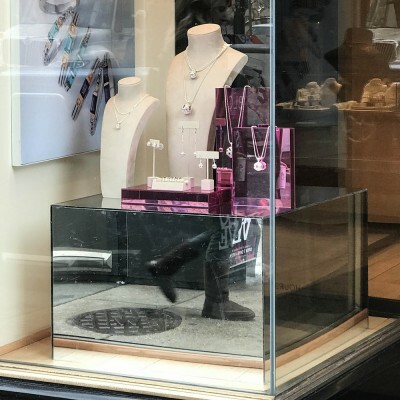 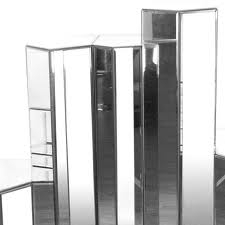 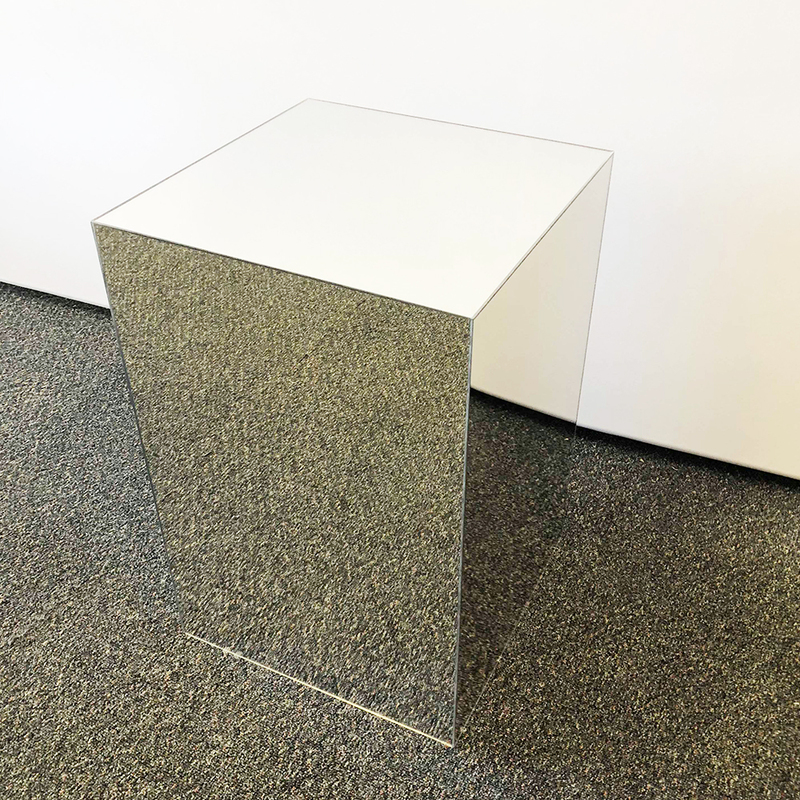 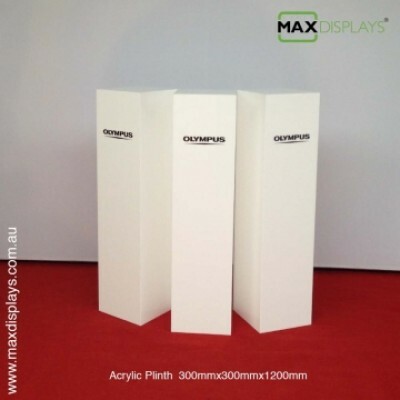 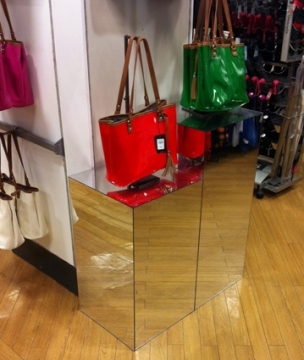 Our range of Mirror acrylic finish plinths are perfect for creating an eye-catching display in a shop window or for a special event or trade fair. 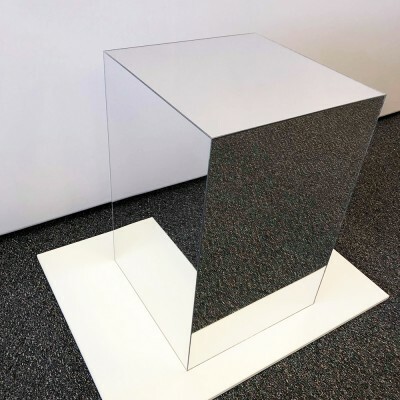 It is much lighter and safer than glass, whilst still ensuring a high quality reflective surface. 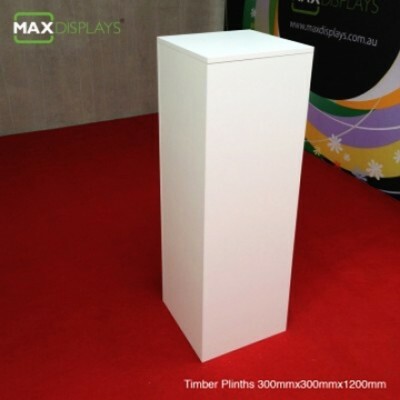 These contemporary plinths look great individually or grouped together as seen in the photographs below. 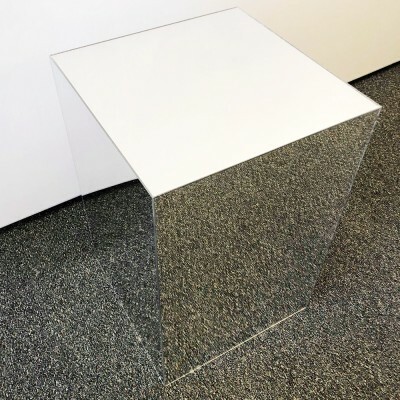 Our standard range is made from 6 & 3mm thick acrylic / perspex and is designed to carry lighter items such as products and mannequins though we can custom make more robust pedestals on request. 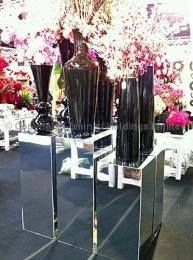 We can also produce this design with a gold or bronze finish if required. They have an inner frame made out of acrylic, covered with mirror finished acrylic. 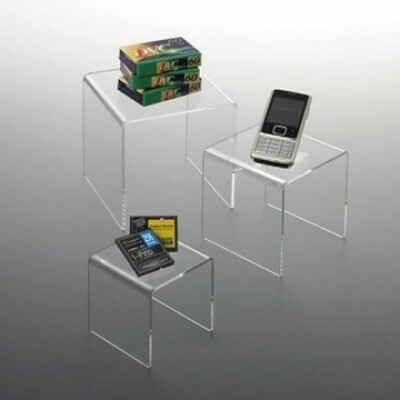 Acrylic can be cleaned with water and detergent or a mild household cleaning product.